Richmond is the energetic capital of Virginia, in the USA. Close to 230,000 people live in the city, including creative young residents who make this a vibrant destination. Find a buzzing craft beer scene, homegrown shops, and adventures courtesy of the James River. Richmond’s top attractions include the Virginia Museum of Fine Arts, Maymont, and Canal Walk. Get ready to discover this delightful American treasure with cheap flights to Richmond, which are available for a limited time! Richmond is the home of Richmond International Airport (RIC), which is a 15-minute drive from the city centre. RIC serves numerous airlines, including Delta Air Lines, United Airlines, and American Airlines. Popular connecting flights from Johannesburg and Cape Town to Richmond are available. The flight duration from Johannesburg to Richmond is approximately 20 hours and 46 minutes. 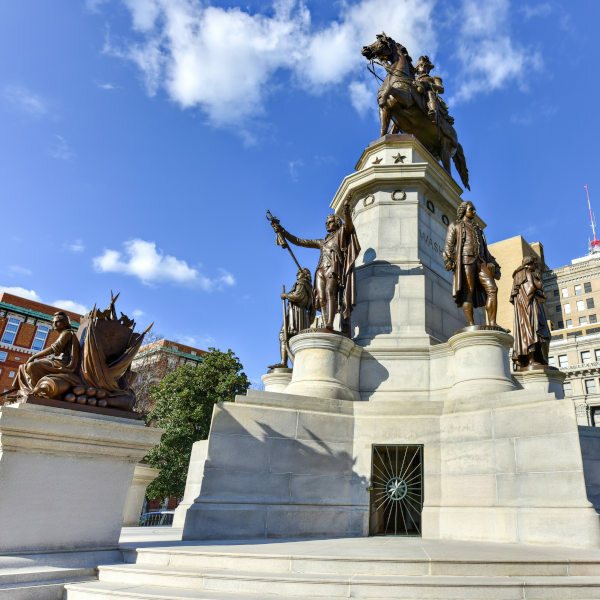 There are many amazing architectural landmarks for you to discover in Richmond, including the Virginia State Capitol, the John Marshall House, and the White House of the Confederacy. Richmond boasts some fantastic places when you simply wish to step away from the hive of activity in the city. 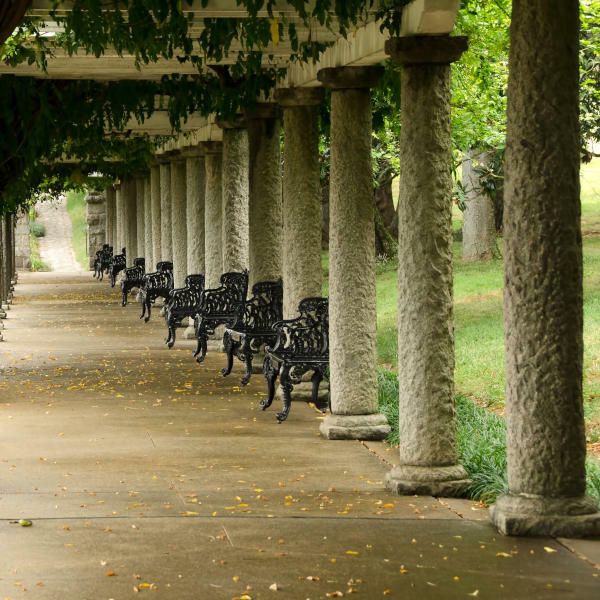 Some charming spots include the picturesque Maymont and Canal Walk. There aren’t just museums in Richmond, but also numerous monuments! Discover more history with several places, such as the Maggie Lena Walker Statue and the Bill Bojangles Robinson Monument. Richmond has a warm and temperate climate, which results in a significant amount of rain during the year. Even the driest month has rain. The period with the best weather conditions is between May and October. That’s when the temperatures are at their highest and levels of snow are nearly non-existent. The most popular time to visit the city is between May and June, and a little into July. The best time to visit Richmond for you then is from late July to October. Make sure to be prepared for some rain, though. Are you ready to discover the buzzing lifestyle of Richmond? The capital of the state of Virginia is home to the University of Virginia and is one of America’s ideal college towns. Don’t miss out on the buzzing craft beer scene in Richmond, notably in the formerly-industrial neighbourhood of Scott’s Addition. Major spots you should check out include Ardent Craft Ales, The Veil, and Blue Bee. Explore the history of Virginia by choosing a place to stay in Carytown or The Fan, both areas sitting near to Richmond’s top museums. One of the spots you should definitely start at is the Virginia Museum of Fine Arts, which is free to visit! Unless you want to access one of the special exhibits. There are not only beautiful artworks inside the buildings! Richmond’s street art scene is huge, and you’ll find that nearly every street has some treasure for you to discover. If you’re looking for a place to start, see all the work done at the annual Richmond Mural Project. Dive deep into state history at the Virginia Historical Society, which includes exhibits on a range of items, including displays of weapons to highlights of Virginia’s silver production history. Then there are the many standout landmarks in Richmond. 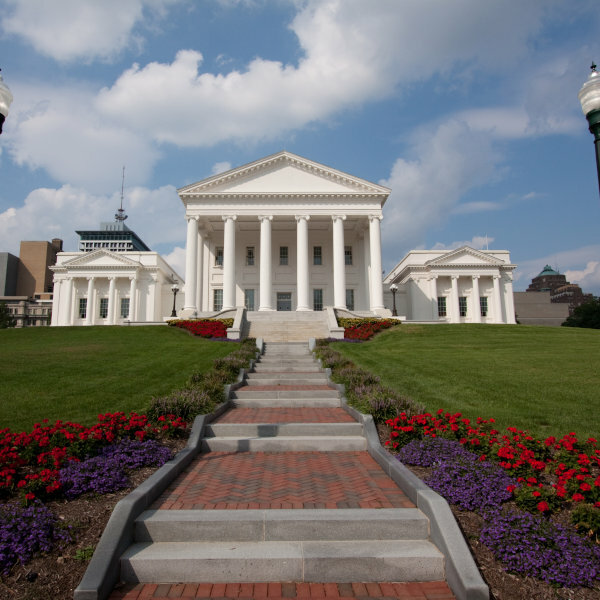 Check out the magnificent Virginia State Capitol, which sits in *Capitol Square*, built in 1785 to 1788, and modelled after the Roman temple of *Maison Carree in Nimes, France. Another spot you definitely should not miss out on is the estate of Maymont. Discover an elegant mansion (which serves as a museum), arboretum, several gardens, a more than 40-hectare park, a children’s petting farm, as well as a carriage collection. Compare several airlines and book your cheap flights to Richmond online at Travelstart! You will need a US travel visa to enter Richmond and discover the rest of the United States. Make your application at the United States Consulate General in Cape Town (Tel: +27 21 702 7300), Durban (Tel: +27 31 305 7600), or Johannesburg (Tel: +27 11 290 3000), or the United States Embassy in Pretoria (Tel: + 27 12 431 4000). The closest South African Embassy to Richmond is to the northeast in Washington, DC. You will not need to receive any vaccinations before visiting the United States. Richmond does have a crime problem, especially around the city’s public housing projects, situated in the north-eastern, eastern and southside areas. Make sure to be careful when walking or standing around at night, since muggings and purse snatchings are a problem. When exiting the nightclubs, it’s best not to be alone or walk on the side streets. Avoid any confrontations outside these popular spots, as fights can break out. In general, practise common sense during your time in Richmond. Keep your valuables out of sight at all times, especially if you’re driving. While the James River draws many travellers looking for adventure, do not swim or even wade in it. The currents and drop-offs have proven to be too much for even the most experienced with the river. Take note of the weather conditions if you’ll be spending time at the riverbanks; some areas along the river experience flash flooding.